396 in stock Need More ? Reprint. Originally published: London: The Cuckoo Press, 2015. 'A beautiful haunting novel... looking at a familiar London through a frosty, snowy lens. Wonderful' Caryl PhillipsThe London winter of 1947 is as cold as St Petersburg during the Revolution. Albertine, the wife of a British army officer often abroad on covert government business, finds herself increasingly lonely. 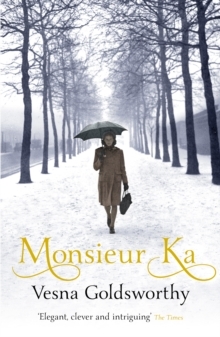 Eager to distract herself with work, she takes a job as companion to the mysterious 'Monsieur Ka', a Russian emigre. As she is drawn into Ka's dramatic past, her own life is shaken to its foundations. For in this family of former princes, there are present temptations which could profoundly affect her future.